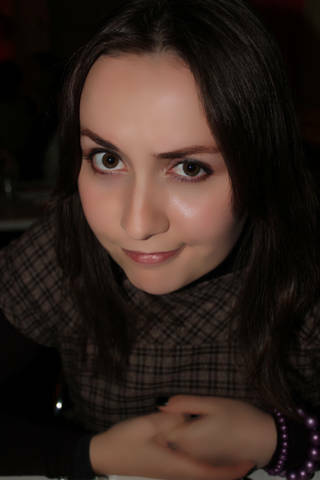 Ms. Olga Ishenko from Ukraine. Check her out along with her 2 projects using our Hot Air Balloon Die Cut. I'm 27 and i live in common law marriage with a wonderful man. He's a dj. I'm teacher of English, German languages and literature. But now I'm a housewife. My Grandpa was a painter and photographer and I inherited some of his gifts - I'm also a photographer and painter, web designer, I design my free digi stamps and my scrapbooking paper as well. Check out this Pretty Lady she created using our Hot Air Balloon Die Cut. This is definitely something, I would have never thought of doing and honestly I'm quite amazed and smitten that she came up with this concept. It really is wonderful how Olga can interpret and create something such as this and it makes sense and the end result is beautiful. I love how different and unique her creation is. What a crafty lady she is!! click here to watch the video :o) !